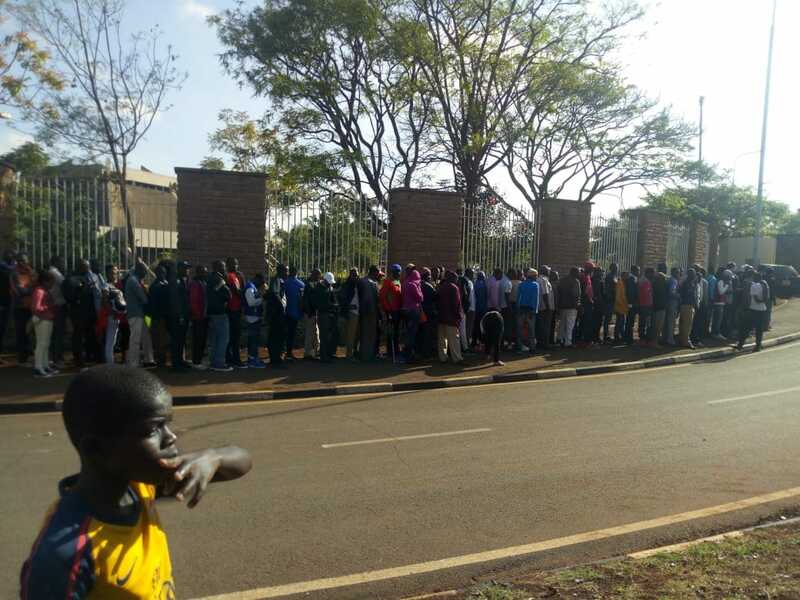 Kenyans have showed up in massive numbers to cheer the Harambee Stars against Ethiopia at the Kasarani Stadium Sunday. Stars take on the Waliyas of Ethiopia in the Afcon 2019 qualifiers Group F return match and the team’s captain had called on supporters to rally behind them. The government responded to the appeal by allowing free entry to the 60, 000 sitter capacity facility while Mike Sonko, the Nairobi governor, pledged free transport. 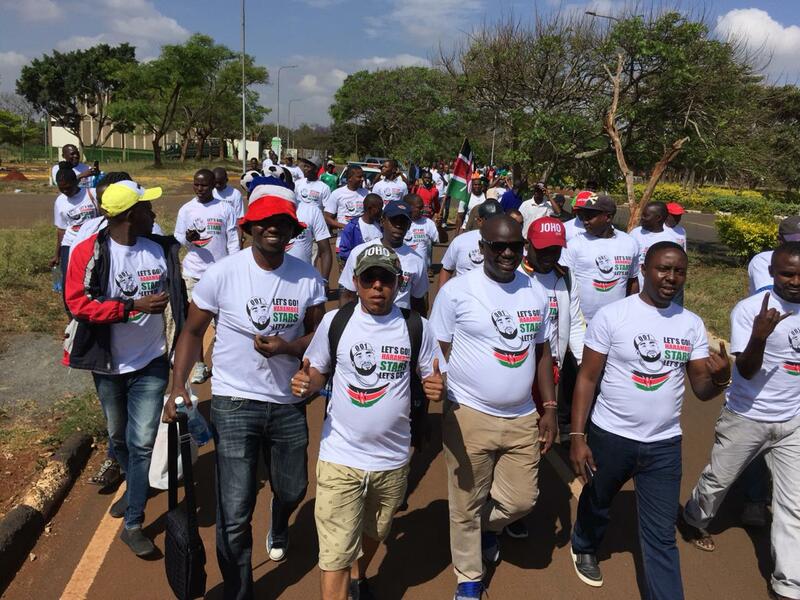 The initiative seems to be working well as fans are currently trooping to the match venue in huge numbers. 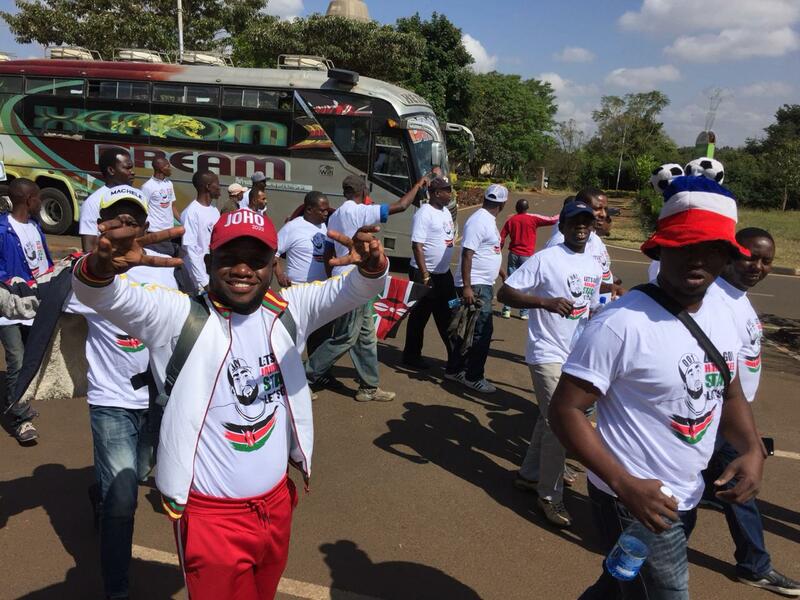 Fans from as far as Mombasa arrived in city in buses very early morning covered in Kenyan colors of red, green, black and white and have already made it to the stadium. Long queues around the facility has been witnessed since 9.00am for the 4.00pm kick-off match. Security remains tight in and around the stadium with a big number of security personnel deployed to ensure order.